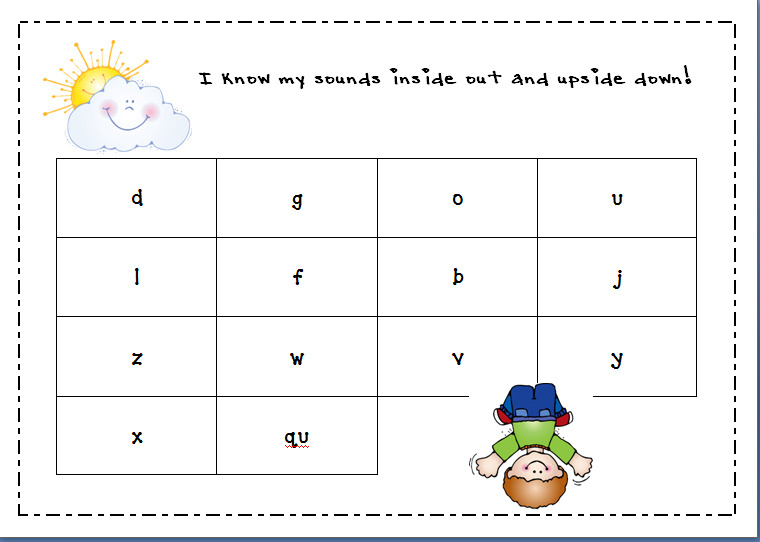 How about this for a cute checklist for alphabet recognition?! I think that this would be a fun sheet to pull out for homework or in a classroom. What do you think? Point to sound and have your child name it or call out a sound for your child to point to.